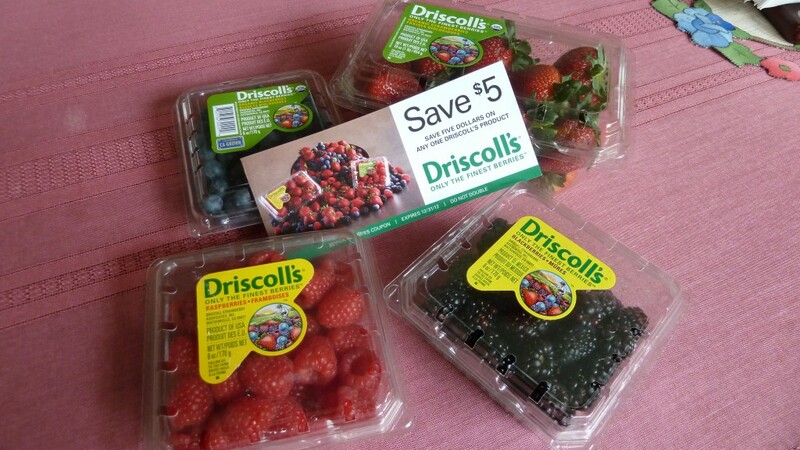 I recently was contacted by Danielle Clinton of The Baddish Group in NYC asking if I was interested in doing a post and that if so, she would send along a couple of Driscoll’s berry coupons. 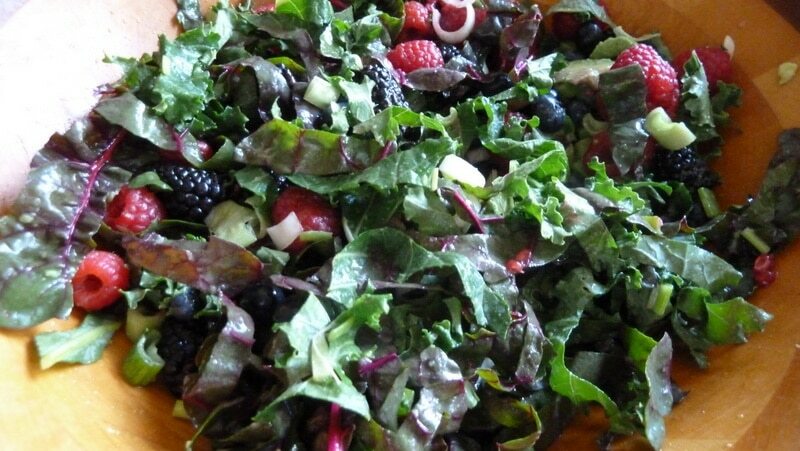 After a couple of days thinking about which Driscoll’s recipe I might use I decided upon their Raspberry and Blueberry Kale Salad. I received two $5 off coupons! I purchased all the Driscoll’s berries I could find at Kroger. I added blackberries to the recipe. I’ll use the strawberries in my cereal at breakfast tomorrow. 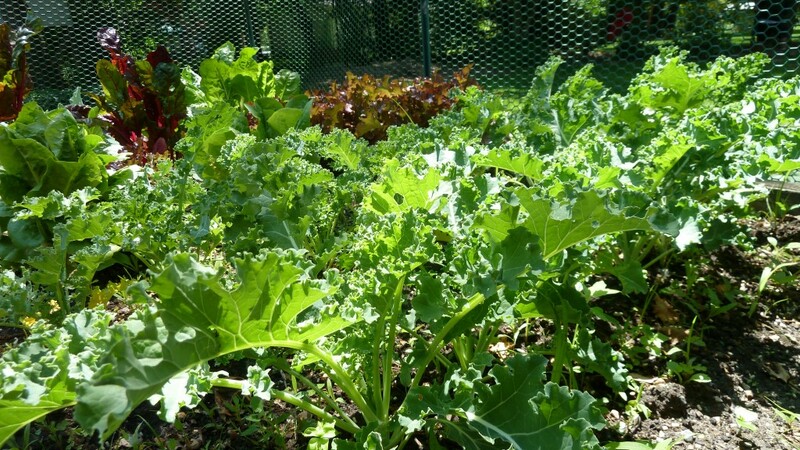 The kale is growing my garden. I decided to add some red Swiss chard as well. Make sure to chiffonade the greens so they are uniform, curly, strips. 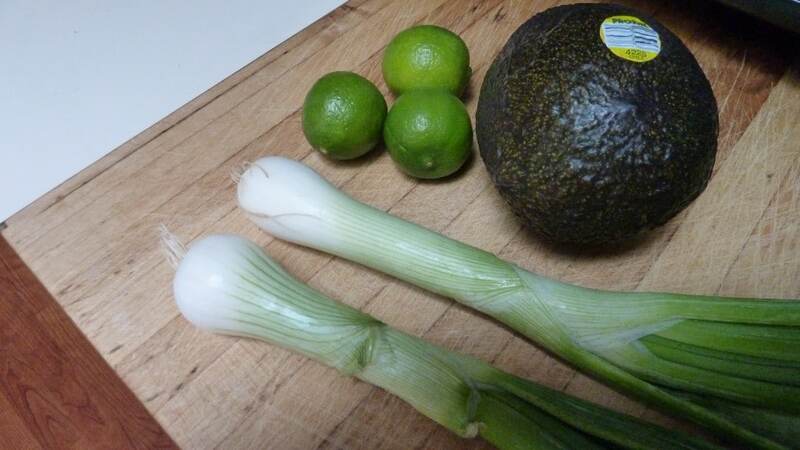 I already had some green onions (the Mexican kind), key limes and avocado. This recipe is easy and delicious! Yianni loved it. The two of us finished the entire bowl for dinner. 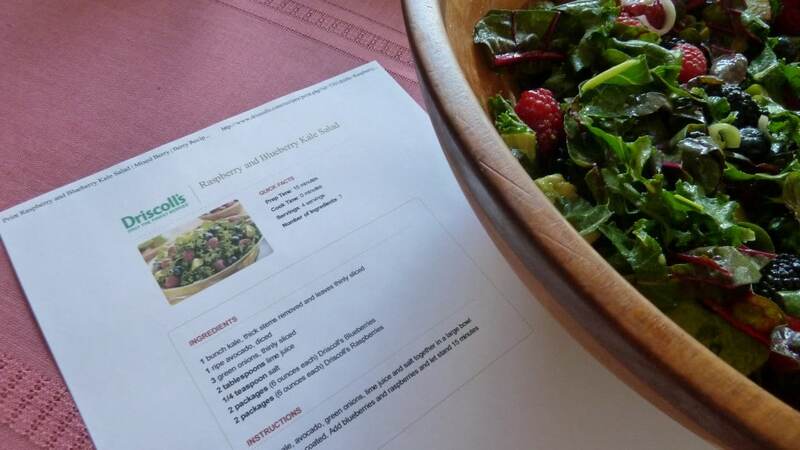 I will definitely be making this salad again. I might try it with a balsamic vinaigrette next time. I am planning on using the other coupon to bake something with berries. This Healthy Blueberry Bran Muffins recipe looks yummy. Feel free to share your favorite blueberry baking recipe in the comments. Thanks Danielle! Thank you Driscoll’s!